Zinc Electroplating is used in many industries due to its excellent corrosion resistance and being relatively inexpensive. Zinc plating is used commonly to slow the onset of rusting on steal/iron. It is commonly used on fasteners, stamping and many other applications small to large. 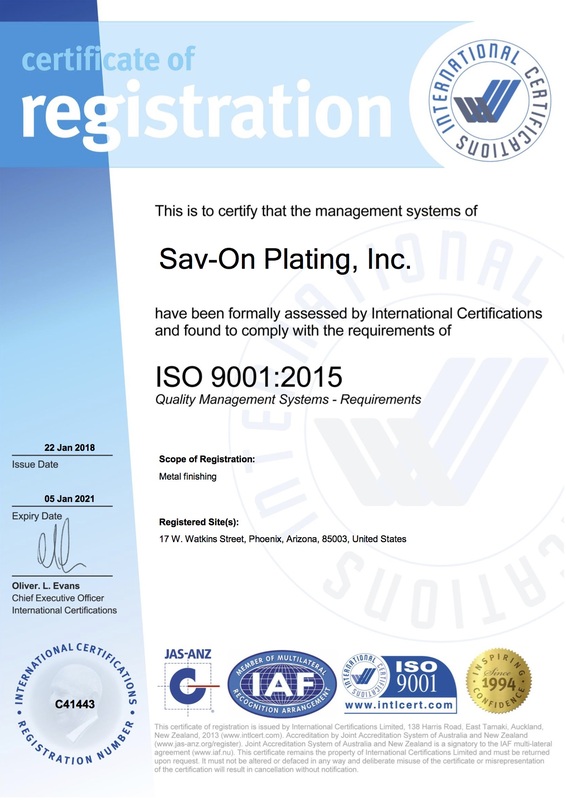 Sav-on Plating is capable of processing both Barrel and Rack Zinc plating to Commercial and mill specifications. Chromates include: yellow, blue, clear, black and olive drab. RoHS compliant (trivalent passivates) include: blue, clear, yellow and black. From high volume to low volume Sav-on is capable of processing your zinc plating needs.